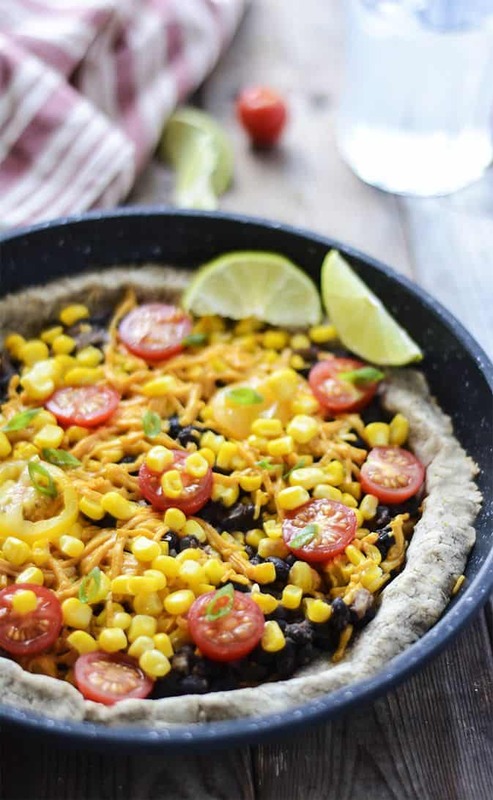 This festive Gluten-Free Black Bean Pizza is bursting with flavors, loaded with tomatoes, corn, avocados and shredded cheese. The perfect lunch, dinner or snack. I have been in the mood lately for pizza, but I wanted a pizza that wasn't the traditional kind with pizza sauce. I wanted one that was hearty, flavorful and loaded with lots of colorful veggies. Check out my Mediterranean Pumpkin Pizza. I have been disappointed lately while being away from home in finding a pizza place that sells really good gluten-free pizzas. Not to mention how expensive they can be by the time to choose your favorite toppings. I have found this really great place in Jacksonville that sells pretty good gluten-free vegan pizzas that don't cost an arm and a leg. My husband found a place in Tampa that served great pizzas, while on a recent business trip. Basically, the places are few and far apart. 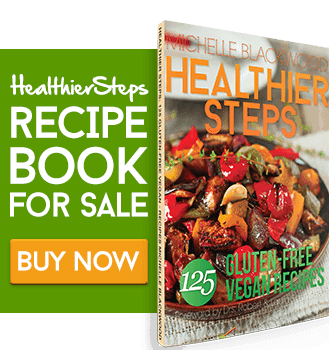 My hubby and I pretty much like the same flavors, olives, red onions, tomatoes, artichoke, jalapeno peppers, vegan cheese, pineapple (oh yes!). For a customized gluten-free pizza with those toppings, it can be pretty expensive. Most of the time our children, pretty much love basic pizza with tomatoes and olives. If you haven't noticed as yet, I tend to love foods prepared with lots of vibrant colors. 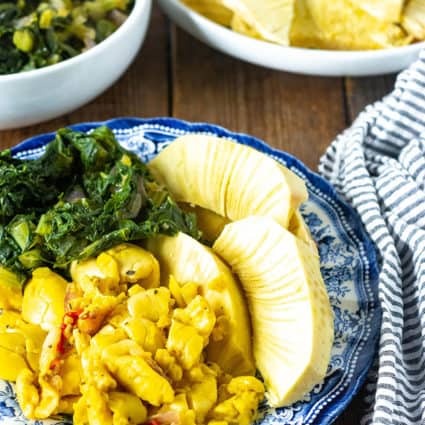 Personally, I find that when I am eating a variety of colorful foods together in a dish, my taste buds are awakened by the bursts of different flavors and textures. 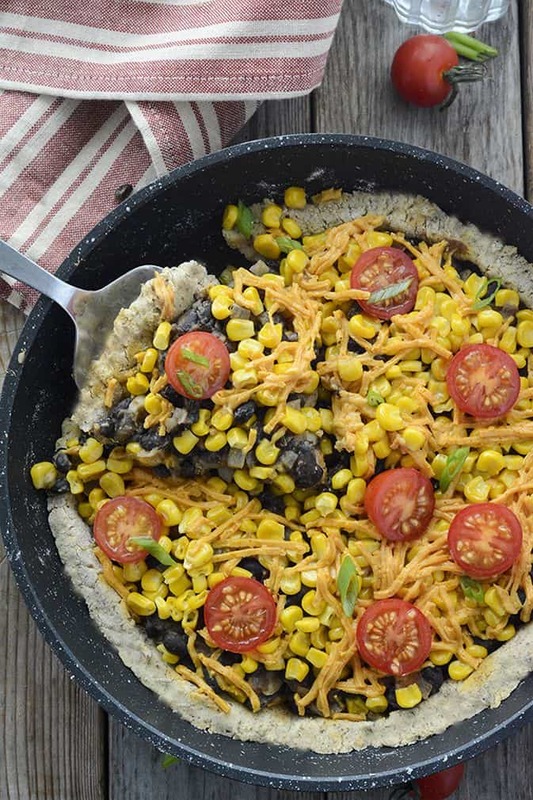 So I decided to make this Gluten-Free Black Bean Pizza with a gluten-free vegan crust, topped with vegan cheese shreds (I used Daiya), seasoned black beans, corn kernels and baked in a skillet. After baking, I then added freshly chopped tomatoes, avocados, and spring onions. Just imagine biting into a slice of this pizza, it is the perfect weeknight dish that the entire family would enjoy. Daevyd enjoyed it very much that he had two slices. For the crust, I blended a small potato with water then mix it with the dry ingredients to make the dough. Preheat oven 425 degrees F. Prepare 9-inch cast iron skillet or baking sheet lined with parchment paper. 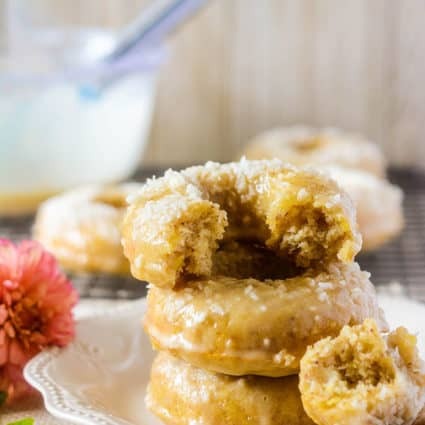 In a large bowl combine brown rice flour, almond flour, flax seeds, baking powder and salt. Place potato and water in a high-speed blender and process until smooth. Pour liquid mixture into flour mixture and stir. Using hands, form into a dough. It may be sticky, then add extra flour and if the dough is dry then add water. Transfer the dough to a parchment paper and roll using a rolling pin or just the palm of your hands. 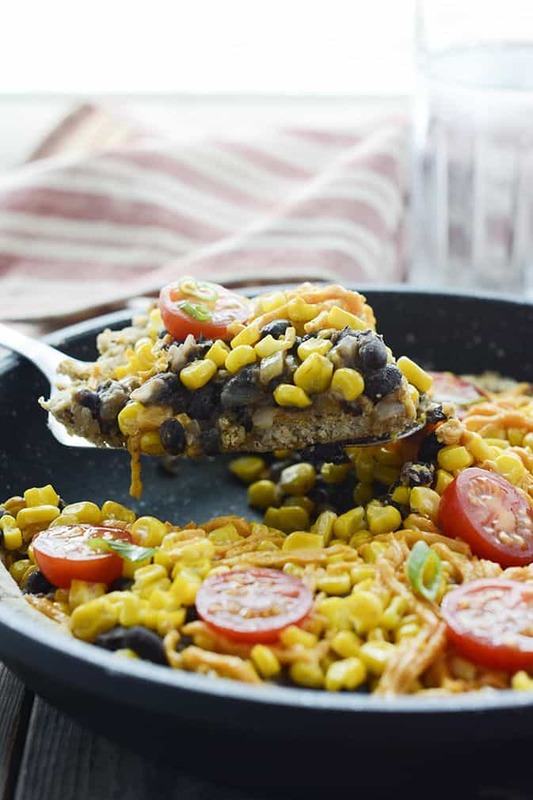 Place crust into a cast-iron skillet or a baking sheet. Bake for 20 minutes or until edges ar golden brown. Meanwhile, prepare the black beans. 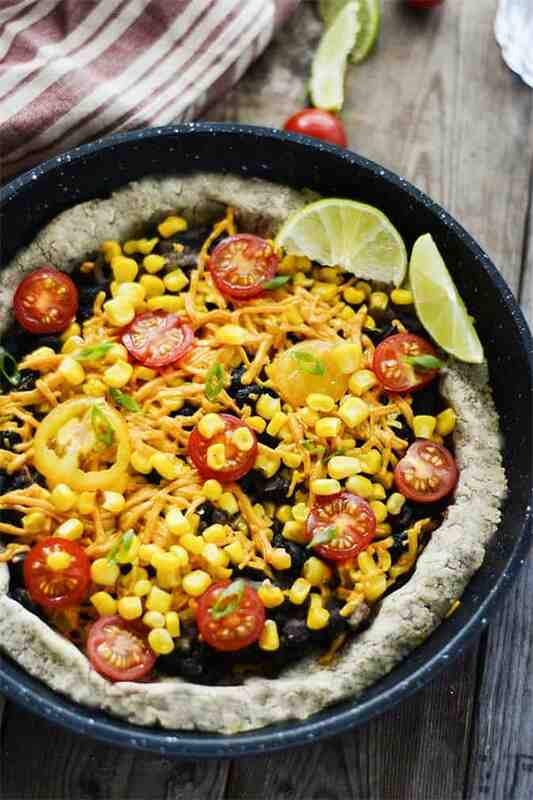 Remove from oven and layer crust with 1/2 cup cheese, black beans, corn, and remaining cheese. Return to the oven and bake for 10-15 minutes or until cheese has melted. 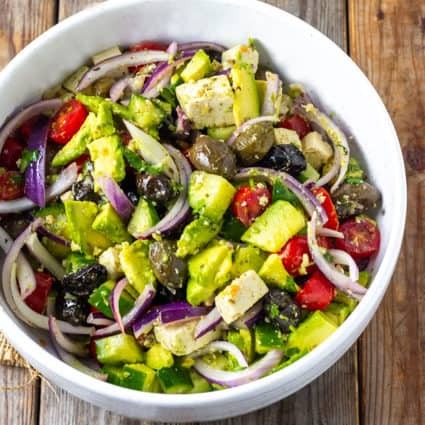 Remove from oven and top with tomatoes, avocados. Garnish with spring onions. Heat oil in a small saucepan on medium-high. Add onions and saute until soft about 3 minutes. Stir in garlic, oregano, cumin and salt. Stir in black beans and cayenne pepper, cook for 3 minutes stirring constantly for flavors to blend. Remove from heat and set aside. Notes: You can add your favorite toppings or double the crust to make a veggie pot pie. Looks yummy! Do you cook the potato before blending with water? Thank you Rebecca, no I don’t cook the potato before blending.